IM Corona Old Boy Lighters feature turn of the Century styling with flint reliability and a generous fuel capacity to help extend the number of lights between butane refills. 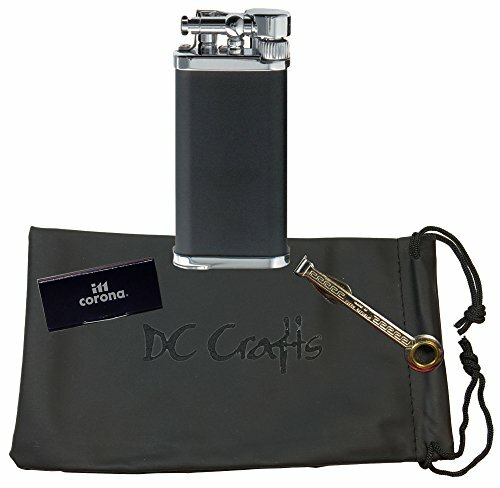 Has a 90 degree adjustable flame makes the OLD BOY ideal for lighting either cigars or pipes. Also made with improved carbon filtering systems, all solid Brass parts, 5X stronger finishes, internal rubber seals now silicon and recessed fill valve covers that won't get lost. Each Old Boy lighter is packaged in a gift box and is backed by a two year warranty.